Teach in Ukraine | Teach abroad | International School Jobs in Ukraine | Competitive Salary + International remuneration package to expatriate staff | Innovative and dynamic International Schools in Ukraine are seeking to appoint Teacher of Humanities to join them for the beginning of the Autumn term. Teach in Ukraine | Teach abroad | International School Jobs in Ukraine | Competitive Salary + International remuneration package to expatriate staff | Innovative and dynamic International Schools in Ukraine are seeking to appoint Teacher of Humanitieis to join them for the beginning of the Autumn term. Teach in Ukraine | Teach abroad | International School Jobs in Ukraine | Competitive Salary + International remuneration package to expatriate staff | Innovative and dynamic International Schools in Ukraine are seeking to appoint Teacher of Mathematics to join them for the beginning of the Autumn term. 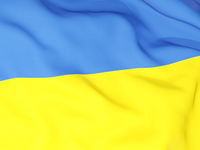 Teach in Ukraine | Teach abroad | International School Jobs in Ukraine | Competitive Salary + International remuneration package to expatriate staff | Innovative and dynamic International Schools in Ukraine are seeking to appoint Teacher of PE to join them for the beginning of the Autumn term. Teach in Ukraine | Teach abroad | International School Jobs in Ukraine | Competitive Salary + International remuneration package to expatriate staff | Innovative and dynamic International Schools in Ukraine are seeking to appoint Early Years and Primary(KS1/KS2) to join them for the beginning of the Autumn term. Teach in Ukraine | Teach abroad | International School Jobs in Ukraine | Competitive Salary + International remuneration package to expatriate staff | Innovative and dynamic International Schools in Ukraine are seeking to appoint Teacher of Science to join them for the beginning of the Autumn term. Teach in Ukraine | Teach abroad | International School Jobs in Ukraine | Competitive Salary + International remuneration package to expatriate staff | Innovative and dynamic International Schools in Ukraine are seeking to appoint Teacher of Art to join them for the beginning of the Autumn term. Teach in Ukraine | Teach abroad | International School Jobs in Ukraine | Competitive Salary + International remuneration package to expatriate staff | Innovative and dynamic International Schools in Ukraine are seeking to appoint Teacher of Primary to join them for the beginning of the Autumn term. Teach in Ukraine | Teach abroad | International School Jobs in Ukraine | Competitive Salary + International remuneration package to expatriate staff | Innovative and dynamic International Schools in Ukraine are seeking to appoint Teacher of Early Years to join them for the beginning of the Autumn term.